Gotham's new TV series won't just focus on Jim Gordon, but also the young characters transforming into iconic costumed personalities. Fox's upcoming Gotham series sounds like a promising way to fill the post-Nolanverse Batman void, telling a story of Gotham City before it was filled with capes and madmen. Of course, for that to work, it can't just be about the adventures of young Jim Gordon; you also need to lay the groundwork for Batman to arrive years later and punch Joker in the jaw. That means Gotham's young Bruce Wayne has a very important role to play, and we've just learned that it will be filled by Touch's David Mazouz. Casting the pre-Batman Bruce Wayne is significant, but he's not the only iconic Gothamite making an appearance. Camren Bicondova will be filling the role of Selina Kyle, another young orphan who will soon grow up to become Gotham's expert thief, Catwoman. Given the obvious romantic tension between comic book versions of Selina and Bruce, I expect Gotham will partner the characters until their costumed careers take them in very different directions. Mazouz is perhaps best known for his work on Fox's now-concluded series Touch, and he can certainly look the part for an innocent boy whose world is falling apart. 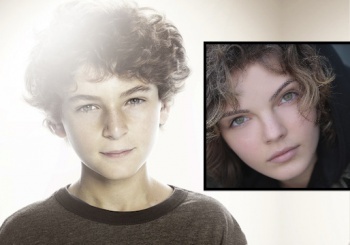 Bicondova meanwhile is a newcomer to the world of television, but here's hoping her Selina will fit alongside Ben McKenzie's Gordon and Sean Pertwee's Alfred.